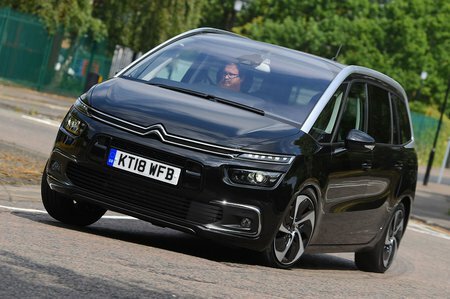 Citroën Grand C4 Spacetourer Boot Space, Size, Seats | What Car? Even seriously tall drivers will have no issues with head or leg room, while the bright and airy interior gives the impression that there’s even more space than there actually is. The wide door pockets are easily big enough for large bottles of water and you’ll find a couple more stowage areas on the centre console – one between the front seats and another beneath the touchscreen. Both of these have lids, so are great for keeping valuables out of sight. However, it’s a pity that the glovebox isn’t bigger and what space there is inside is a rather awkward shape. There are three individual seats in the second row, each of which is surrounded by enough leg, head and shoulder room to allow a six-footer to get comfortable. The flat floor is another bonus, because it means the person sitting in the middle doesn’t have to straddle a tunnel. If you want to fit adults in the third row, those in the middle row will have to slide their seats forward, at which point everyone will feel a little cramped. However, as long as it's kids sitting in the back of the car, there’s enough space for seven people, although a Volkswagen Touran is more accommodating. It’s a shame that there isn’t a bit more stowage space in the rear. The door bins are tiny, and you won’t fit much in the nets on the backs of the front seats. However, Flair models come with handy cubbies in the floor, along with foldable picnic tables on the front seatbacks. The three second-row seats recline, and slide back and forth independently of one another. Pull a separate tag and they also clamshell and slide forward, giving surprisingly good access to the third row. Both the second and third rows can also be folded flat. Pulling the rearmost seats back up again is easy to do with a single hand – you simply tug a cord. However, the second and third rows in a Touran are even lighter and easier to moved into your desired position. 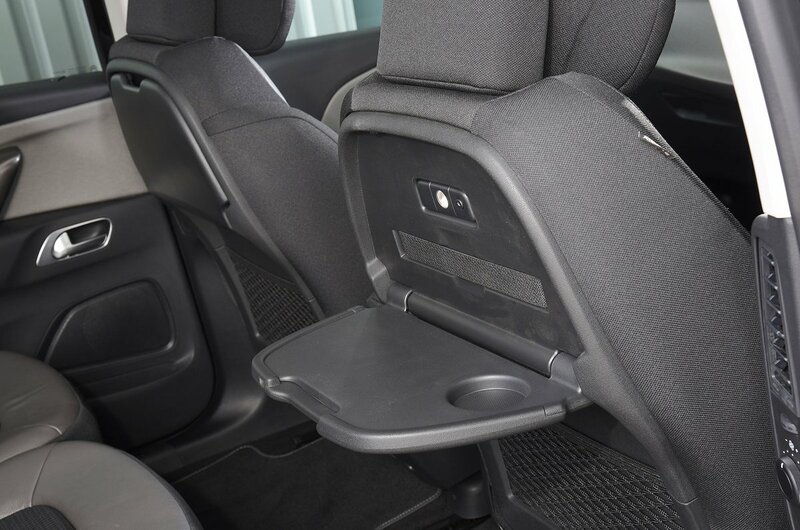 The front passenger seat can be folded flat by pulling on a lever, meaning you can carry seriously long items. Planks of timber, or even a reasonable-sized ladder, will fit. With all seven seats in use, there’s still enough space for a couple of small bags in the boot, although not a lot else. 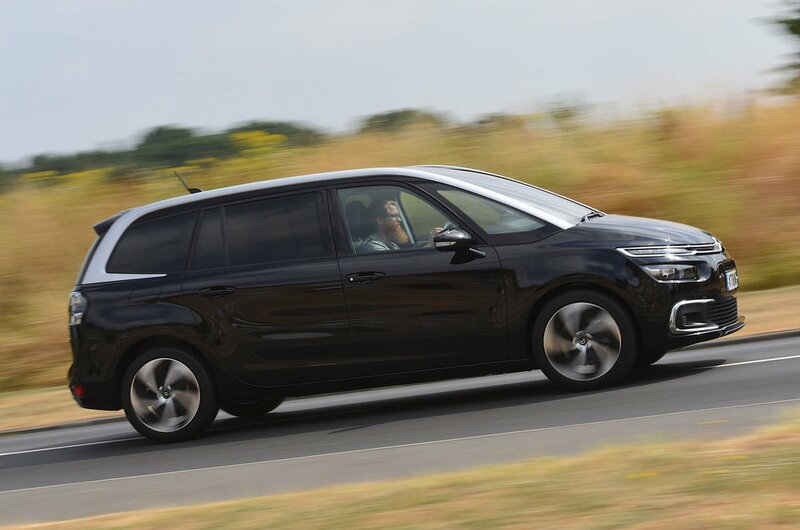 If you want to carry seven people and all their baggage, you’ll need an altogether larger MPV, such as a Ford Galaxy. However, with the two rearmost seats stowed away in the floor, you get a huge boot that’s long enough to take most pushchairs lengthways. The load bay is also flat, with no annoying steps or ridges to impede loading and unloading, although a Touran's boot is larger. If you need even more room, dropping the Grand C4 Spacetourer's middle row of seats creates a massive load bay that’ll hold nearly 2200 litres – more than enough space for an active holiday for two or the annual trip to the tip. The boot opening is low enough to make loading heavy items relatively easy, plus there’s no boot lip, so you can slide your luggage straight in and out. Top-spec versions also have a powered tailgate, while all models have lashing points, a rear parcel shelf and a handy, retractable load cover.